Second Texas Music Thursday post in a month? I may be on a roll here. Today I will not only share with you a little about an artist but also some very important concert tips. Hope you're ready for this! How many times have you gone to a concert just to see the main act? How many times have you said " oh, it doesn't matter if I am late, the [main act] doesn't go on stage until...." I am sure many of us have thought like this more than once. Ill be honest, last month during my last minute planning concert going adventures, I told myself this several times. Maybe it was because I already knew I wouldn't be able to make it in time to see the first two artists, but regardless, the idea is the same. If you read last weeks posts, you know I thoroughly enjoyed the concert, yet, a couple of days afterwards I realized I could have enjoyed it a lot more. Here's the thing. Tip #1. When going to a concert and don't know who all of the other artists are, look them up. More often than not, you will be able to find them on social media. Either through a band page on Facebook or uploaded videos on Youtube, thing is you will find something that will give you a glimpse of what their music sounds like. Prior to the concert I had done this. BUT I really didnt pay much attention to the music or videos at the time. Which is why when the video below popped up on my timeline, I really just had to focus and enjoy it. The live performance of Will Carter Band and the single "I Don't Know Why" had been recorded! Nothing beats a great live performance. Tip #2: Now, I am sure you are able understand why I was bummed out about not getting to the Firehouse Saloon early. I missed out on this great performance, keep in mind this was only a small piece of their whole set. Can you imagine the whole thing?! This is why I can't stress enough Tip #2. When going to a concert, be there early. It is very easy to forget about the other (earlier) performers, especially, if you arent familiar with them. 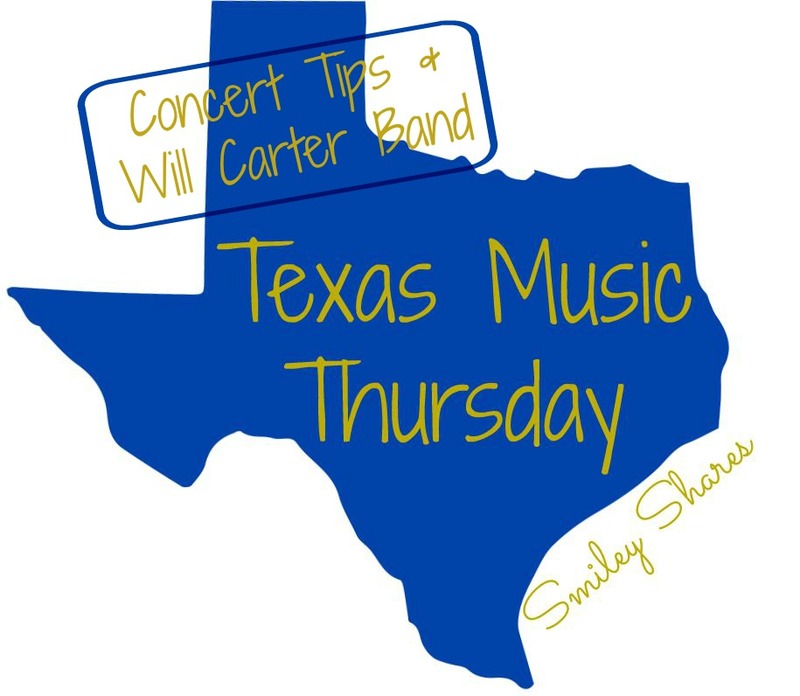 Now, to shed some light on Will Carter Band, and to help you out with Tip #1. Will Carter himself, grew up in the rural town of Frydek,Texas. Losing his dad at a young age, was one of the biggest motivations to keep working hard and continue pursuing his dreams. And it paid off! By the age of 18, he was already performing in a great local Texas band "The Emotions" and had the opportunity to play in many music festival and unique venues around Texas. After graduation from Texas A&M University he decided to go the original music route. Personally, I find it to be the best way to go, but what do I know. This has given him the opportunity to participate in local events in the Houston area. I know, I know, how is it that he has participated in local events, and I have never seen him? Well, maybe because it hasn't been the right time? I don't know. however, what I do know is that now being aware of Will Carter Band I will keep an eye out for any upcoming events in my area. Wouldn't want to miss another one. Speaking of another one, I hear him an Neil Austin Imber have a show this Friday, at the Firehouse Saloon. *wink* wink* Houston friends plan accordingly. Official Music Video: I Dont Know Why. A great combination of rock influences with a touch of country sounds, that simply make you want to get up and dance. Most artists started off in small venues, opening the show for somebody else. And this isnt defined by their talent. So, remember, local artists need your support. Keep that in mind, and fill up those venues! You never know what you may be missing out on. Don't forget to follow Will Carter Band on Social Media, & get ready for a great show.